Symbolic Motors is San Diego County’s exclusive factory-authorized sales and service dealer for fine exotic cars and luxury cars by the world’s most prestigious auto manufacturers. Officially, our dealership names are: Bentley of San Diego; Rolls-Royce of San Diego; Lamborghini of San Diego; Lotus of San Diego; Spyker of San Diego; Saleen of San Diego and Bugatti of San Diego. Symbolic wanted a clean design that’s easy to navigate. 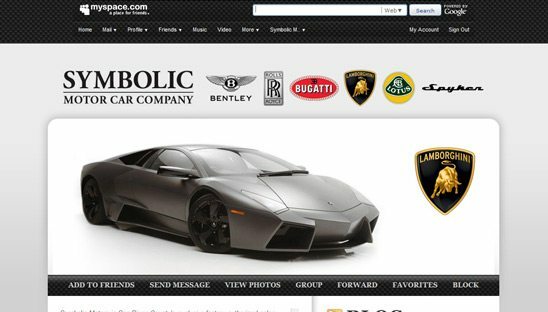 This page showcases some of there top exotic cars by creating a custom flash top slide show, left to right image slider and the classic myspace slide show. There is also 2 different rss feed widgets for 2 different blogs.